Google will be unveiling the successor to Lollipop at Google I/O in just a few days, but we won't get a real name. 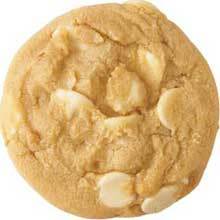 It will likely just be called Android M until it's released, but Google has an internal code name just as it did for L and K. It's called Macadamia Nut Cookie (MNC), a name which is already being referenced in AOSP. Our confidence on the internal name is a 10—this is real. I don't know if that contradicts the above disclaimer, but we're pretty sure. It's mentioned in AOSP, and Googlers are using it. The code name won't matter to you personally because it's probably going to be changed upon release. It's just for fun. There have been whispers about the MNC name for a while now, but only recently has it started popping up in AOSP as "mnc-dev." We've been told this stands for Macadamia Nut Cookie, but that doesn't really matter so much. We'll probably never see an OS version that uses this name. Here are the AOSP comments we've seen referencing MNC. Could you also make this change in mnc-dev branch? Thanks. Moving to mnc-dev; will cherry pick back to AOSP later.